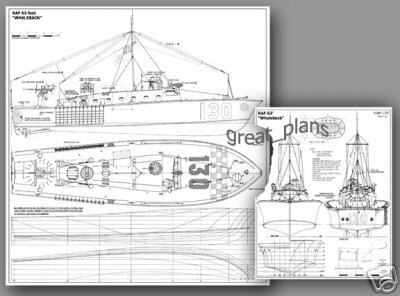 I am having a bit of trouble finding a set of plans for a 63' whaleback, I did find some on a CD in Canada but they have 'disappeared'! I have found most other boats but not the one I am looking for. 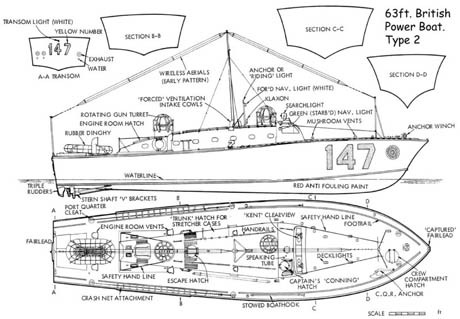 I have a plan for the RN 63ft MGB! You can find the Telephone number on the inside of the cover for the Plans dept. By John Pritchard, I thought this was available through Nexus Plans Service but now I can't find them anywhere. Saw this on eBay, no idea where to get them though. If hslmouldings' idea draws a blank, try asking John Lambert through his website; if he doesn't know no-one will! not what you need for modelling unless you are an expert? Glad I could help you! Have read recent discusion regarding Whaleback hul plans. May be able to help. Just developed a set of "faired" hull drawings and about to construct a 1/12 scale hull to prove fairing. If result is OK then I shall be able to provide comparable information to any scale required. Superstructure details are another matter as variants occurred. At some point soon I will post some photos so people who have not built a model can say "I can do better than that!" maybe i'll inspire someone to try. well, you've got to have a go, and considering all I am useing is a battery drill, jigsaw and hacksaw I dont recon it is too bad! when I am one stage further i'll get a photo posted. Try searching on eBay for veneer timber. I would imagine it would be good for authentic looking planking on a solid hull. At my model shop you can get 0.4mm and 0.8mm plywood! it is about £7 for 2-3 square foot. I suppose you would cut it with scissors or a guillotine? I've not got to that stage yet..